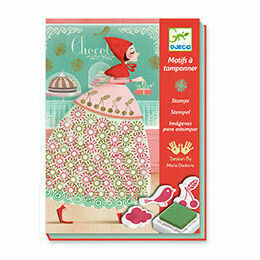 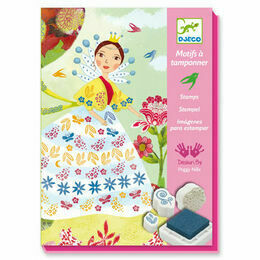 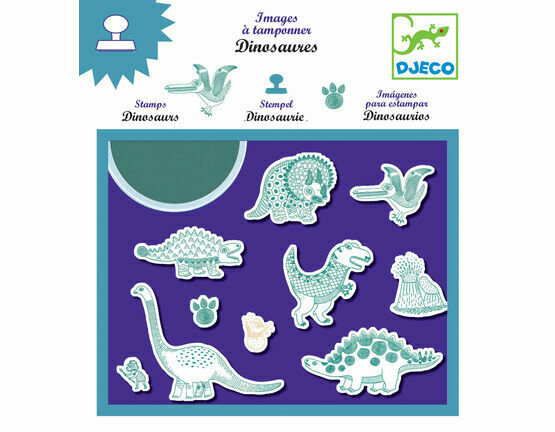 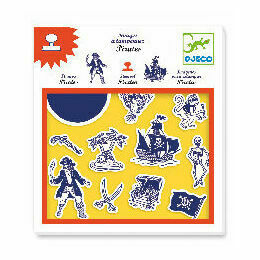 A super printing kit from Djeco for all dinosaur enthusiasts! 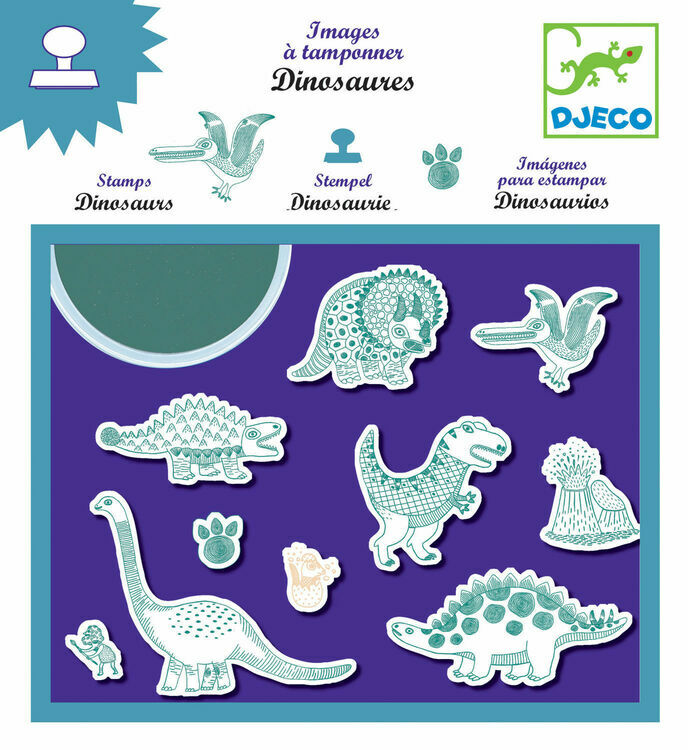 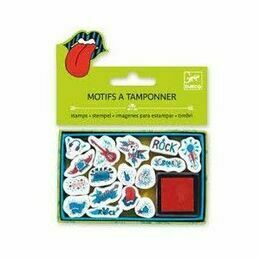 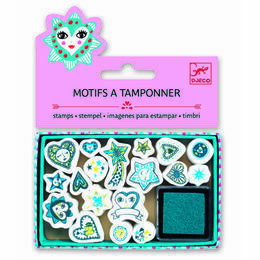 It contains a series of 10 different rubber stamps including various dinosaurs and a paw print. 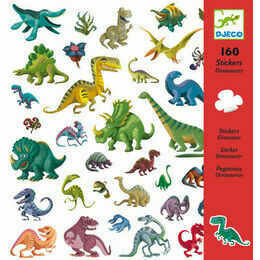  All you need to create prehistoric scenes, illustrate homemade cards and thank-you letters.